I was cruising Facebook a couple of weeks ago (Sept 3, 2011) and came across Nap Time Crafters posting about being a tester for her new pattern. Amy from Nap Time Crafters has a blog as well as her Peek-a-Boo Pattern Shop on Etsy. Obviously the picture of that super cute dress caught my eye. 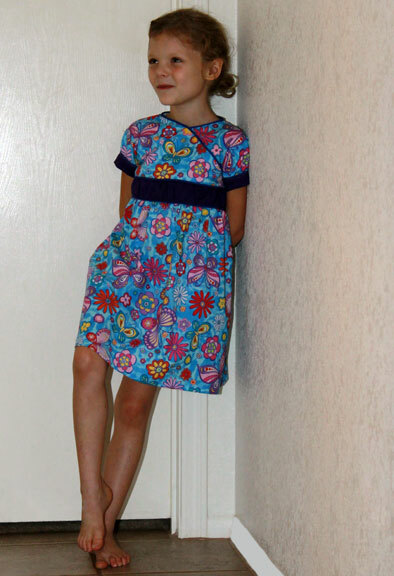 I have not sewed a dress for a little girl in a LOOOoooonng time (my daughter is 27 years old and she's the proud mother of two boys). I have a friend Theophany (she and I attend the same church that's how we met in real life : ). 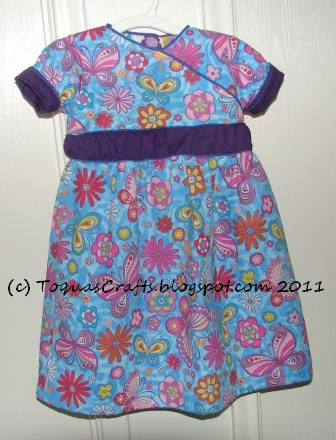 She has a couple of cutie patootie girls and I thought that Odelia might need a new dress to wear to school. 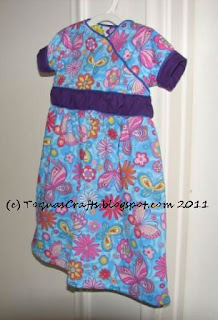 Here is what I came up with for Odelia's new dress. 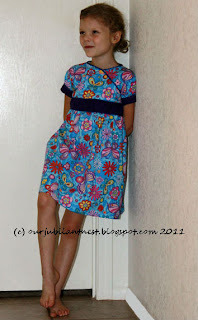 Isn't that a cute dress for a cutie patootie?? 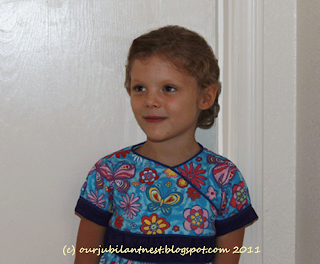 What a cute girl wearing that lovely dress! heeheehee. sew VERY cute! The dress and Odelia!